Chemical pumps that are designed and manufactured by Phantom Pumps are solids handling, corrosion resistant pumps known in the industry as the high-quality, low-cost alternatives to many leading chemical pumps from well-known brands currently on the market. At Phantom Pumps, we ensure our high quality control standards are always attained by assembling, testing and packaging all of our pumps in the United States. Net weights from 472 lbs. to 920 lbs. There are more than ten PL-Series and XT Series low pressure pump models with impellers up to 14-3/4” and solid handling maximums up to 3” available at Phantom Pumps. Our high and low pressure pumps are interchangeable with many higher-priced Gorman-Rupp, All Prime, ESCO Pumps and Durco brand chemical pumps. Fluid processing organizations usually save on equipment costs when Phantom Pumps models are used to replace worn-out or broken name brand pumps. 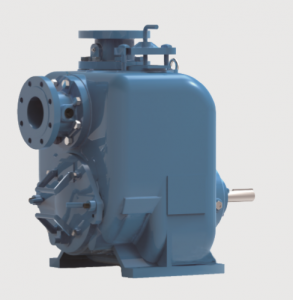 Processors can also lower their operation costs by using our replacement parts for all repair and maintenance services on compatible industrial pump equipment. Phantom Pumps application engineers and distributors are the experts that fluid processors can always count on to help determine which chemical pumps in our lines match processing specifications. Our experts consider critical factors before making any recommendation such as pump elevations, gallons pumped per minute, total hose or pipe length, and solid content in fluids. Our Authorized Phantom Pumps Distributors are a go-to-source that processors in Florida, Louisiana, Maine, Michigan, New Hampshire and elsewhere throughout the US can rely on for local pump equipment and replacement parts, pump installation and start-up guidance, technical support, and more. Contact us today to learn more or request quotes on chemical pumps or parts.